If you’ve had the pleasure of knowing Mark Hummel for any amount of time, you soon realize that’s Mark’s the kind of guy who would be pretty damn good at just about whatever it was he set out to do. 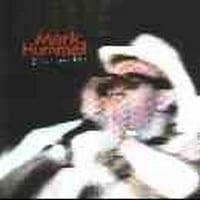 Fortunately for blues lovers worldwide, Mark, at an early age set about mastering the art of the blues harmonica. 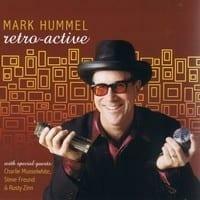 Mark Hummel is now acclaimed as one of his generations finest players. 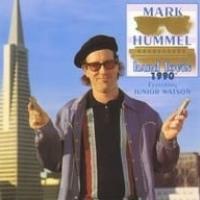 What few people realize is that Mark’s roots go way back to the thriving Oakland blues scene of the late 1960’s and early 1970’s. He is quick to credit little known bluesmen like Cool Papa Sadler, Boogie Jake and Mississippi Johnny Waters. 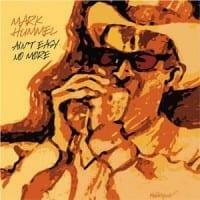 Mark told me recently "Those guys were my firsthand introduction to blues experience". "Somebody like Cool Papa was a real inspiration to me in his generosity to a young musician". One listen to "Golden State Blues" Mark’s Electro-Fi debut should convince you that those long gone artists would be more than proud of what Mark’s accomplished with the legacy they left him. Don’t rule out the hard work factor. Mark and his super tight bandmates, Charles Wheal, Steve Wolf and Marty Dodson spend several months of the year staring through a windshield on their way to bringing their brand of blues to your town. 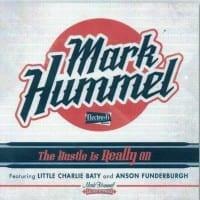 Mark Hummel also proves the theory that the best attracts the best. Two of the finest guitar players at work today Rusty Zinn and Anson Funderburgh jumped at the chance to join Mark and the band on "Golden State Blues". A great album by a harp virtuoso sums this one up. Mark Hummel is part of that West Coast batch of guys who just have their pulse on the jump blues and shuffles of another era. He’s a fabulous player ; check out the first cut "Beepin’ On Me," a showcase for his big sound and killer chops. Actually, you can pretty much say that for every cut on the record. The jazzy "Blue Jimmy" lets him shows what he knows. Same with "Stockholm Train" and a hidden track at the end that lets him fly on harp. Mark’s vocals are fun too. It’s that late night hipster thing. There’s some fabulous guitar playing, too. Old friends like Anson Funderburgh and Rusty Zinn get to show off a bit. Funderburgh gets to showcase his dirty sound and nasty vibrato on "Right Back Where I Started ". Zinn and Funderburgh share chores on "Please…", an all star boogie with text book solos. These two know and understand the music and every song is better for their appearance. And I’d be negligent not to mention the work of guitarist Charles Wheal. On every cut where he’s featured, Wheal proves more than capable of filling the guitar chair. I love this album. The feel is captured perfectly. 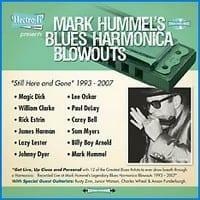 Any new record by Mark Hummel is cause for celebration among blues harmonica buffs. First, they know they’ll be treated to some of the most crisp, most incisive playing ever and that they’ll have a wealth of innovative licks to master. Second, they’ll be reassured that this blues survivor is still on the (sadly diminished) scene, proving that traditional Chicago and West Coast blues remain alive and well – and that it’s still fertile ground for exploration. Golden State Blues offers 13 tunes "Beepin’ on me" is straight Chicago blues; "Honey Do Woman" has a loose swing feel augmented by sharp horn arrangements and a nifty guitar solo by Rusty Zinn. "Right Back Where I Started" slows down the proceedings; Anson Fundergurgh tears it up on guitar then steps back to make room for Hummel’s ripping chromatic solo. Hummel gets the 59’ Bassman cranking on the Little Walter tribute "Too Late Brother" beginning with riffs close to Walter, but then venturing into new territory. "Don’t Know What To Do About You" returns to a West Coast sound, employing a flat out groove. Charles Wheal, Hummel’s road guitarist, and the man who handles the bulk of guitar duties here, turns in a smooth solo; Hummel contributes more deft chromatic harp. Hummel is in good voice and the band is tight throughout. 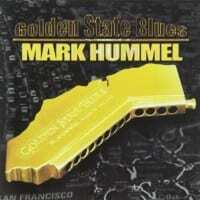 "Golden State Blues" is unreservedly recommended for fans of blues harp – but you already knew that, didn’t you? Kudos to Electro-Fi for picking up Hummel and for helping blues survivors keep their products out there.